fCraft.net has started to re-advertise our servers! This thread will serve as an advertisement tracker, where you can see all our current advertisements, and support them if you can. I will update this post with other advertisements if we build them. We also accept suggestions of where to advertise. Use the link below to vote at all 4 websites, just press the arrow in the right corner of your browser when done to move to the next site! When voting remember to specify your username when it asks for it, this will credit you with 100 Dollars of in-game currency! Last edited by Ninjacat101 on July 3rd, 2015, 7:31 pm, edited 10 times in total. Don't forget to vote for it and stuff! Xecutioner91890: I wanna meet the owners that would be a dream ! "a person's dream are meant to be fulfilled not crushed and these words I am typing from the 3DS are from my heart"
[16:22] <SMB> +CrimsonTensai sup noobs! Updated the original post with a few more servers ads. Go vote! Behold the army of Matsurikas! 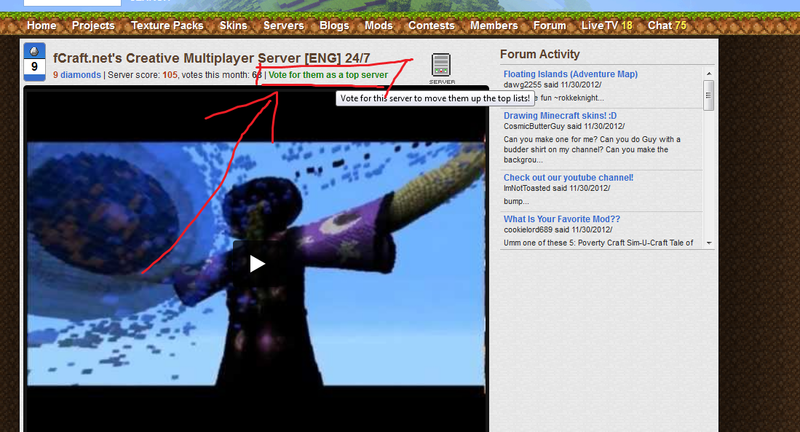 Minecraftservers.org has a daily voting limit, but you can vote multiple times. It also seems to be our best draw in. I've seen a new face every time I look on IRC. Are you referring to our Classic IRC channel? The new players are there because we managed to get to the first page of the Classic Server list on MC.net. Actually also showcasing how irrelevant this has become. Before Mojang obscured access to it, we would be getting 64/64 players and not 20. Actually Ark was referencing CMP, and he's not wrong. We're getting small bits of traffic from it, whether through youtube or advertising. And the site he linked is actually not too challenging to get to the top of. There are 9,000+ servers, and last I checked we were at 600 with only 22 votes. So every vote, it seems, helps pretty significantly. And that's just one of about 6. I'd say the advertisement is beginning to work. Ollieboy: I can fully understand the want for epeen so whatever. There are 9,000+ servers, and last I checked we were at 600 with only 22 votes. So every vote, it seems, helps pretty significantly. Think about why this is. wund, I believe you can only give a diamond once on Planet Minecraft. correct, but you can vote for us more than once. Ahhh thanks for the info! All lists votes get logged now and extend your drawlimit. Also I've increased the vote weight of planetminecraft - it's worth 3 times a normal vote now. So if you don't want to vote on all lists regulary, I suggest you focus on this one. You are just... The best person. its http://www.minecraftserverfinder.com/13 ... yer-server now. You put roar on everything don't you? Just thought I'd bump this just so I can get people to vote. Since it's now March, the monthly votes total has reset. Voting now could get us high up in the ranks. 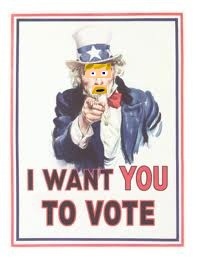 Be sure to remember to vote every day! (staff)xN8Gx: Next up; words that rhyme with luck! ollieboy: everyone here is a shrimpy nerd, you can take us. Added in the SMP links to vote. I'll be working on possibly adding more as well as reestablishing the CMP links as well. I don't know about the status on Votifier, bug other people for that. "Words have no power to impress the mind without the exquisite horror of their reality.."
We should add Votifier if we want votes. Don't add it if we don't want votes. It's that simple. Easy 1-url click for all the SMP voting websites we are currently listed on. Use the panels to navigate to each voting website after voting.